A truly iconic sofa designed by one of the masters of mid century design, Hans J. Wegner in 1953. As with all of Wegner's designs, it looks beautiful from all angles, and is not a piece to hide in the corner, or against a wall. 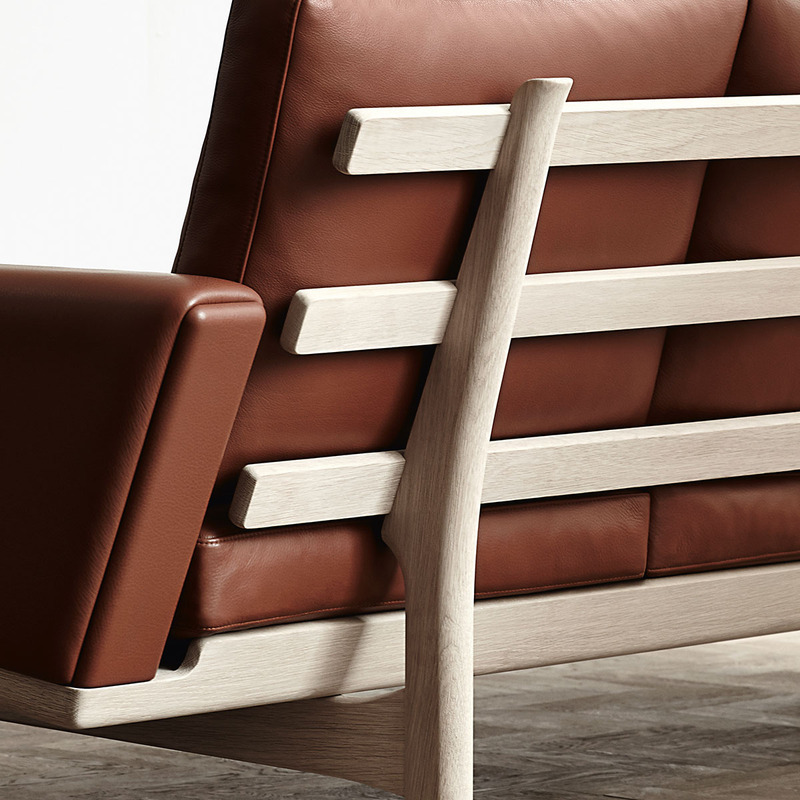 The rear is of special note and the angled posts give this sofa a contemporary flare. The oak 236 sofa has been a long time favourite with Great Dane clients and with its striking lines, it is a timeless classic that will suit any modern home.